After Nokia and Microsoft partnership agreement to build a quality and innovative Smartphone's Nokia has really changes its way to build smartphone's with latest technology and design. A recently introduced Nokia N9 is the best example of that change. The Nokia N9 is the latest innovative smartphone device with Nokia's latest Operating System called "MeeGo", which we had already discussed in our blog before. The new Nokia N9 is the first MeeGo-powered OS smartphone from the Finns, and we really hopes that it won't be the last because it's actually a smart looking device from Nokia. 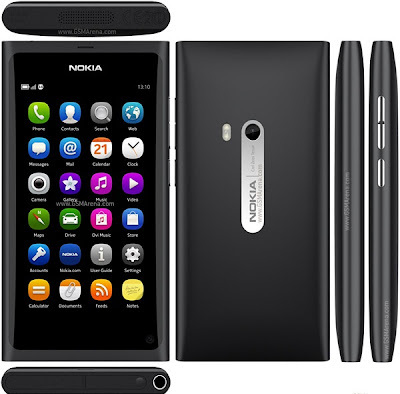 Today we are going to Review Nokia's N9 Smartphone with MeeGo Operating System. The look and body of Nokia's N9 is quite impressive and you will be pleased when you hold this beauty in your hands. The Nokia's N9 is smart, slim, stylish smartphone released by Nokia after unbelievable success of Symbian^3 and Symbian^1 OS9.5 Smartphones first time having ARM Cortex-A8 OMAP3630 1 Ghz, PowerVRSGX530 processor with 8MP autofocus camera with high performance Carl Zeiss optics. The camera is positioned more centrally than many other smartphones on the market, which means it's easier to hold - in our brief tests, the pictures felt more like we were taking them on a normal compact, which is definitely a plus. However, there's no physical camera key, which is a real disappointment as Nokia usually loves them and we're real fans, as it means less camera wobble when you're taking a snap. Touch to focus is on offer to improve the quality of your shots, although we didn't see it making much of a difference when we tried it out. The back of the phone is 'pillowed' in the words of Nokia, which means it sits rather nicely in the palm of the hand. The dual-LED powered 8MP camera is covered in some natty Carl Zeiss optics, and features an f2.2 aperture which is better for low-light situations. With no microSD card slot on offer (Nokia says the N9 will come in 16GB and 64Gb variants) the only ports live on the top of the phone, with the headphone jack, a pop-up cover to the microUSB connector and a pop-up tray for the microSIM. 8MP autofocus camera with high performance Carl Zeiss optics having 3264×2448 pixels Resolution with Auto focus, Video, Geo tagging, LED Video light, Face & Smile detection VGA. 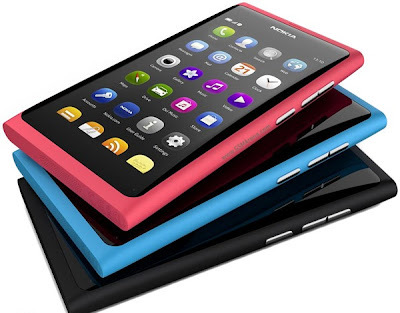 The Price and Release Date of Nokia N9 are still undisclosed by Nokia. We will post the Price and Release Date of Nokia N9 as soon as we get any information officially.